The aim of the seminar was to 1) share good practices on the participatory role of LGAs in political dialogues with national institutions and development partners, 2) share good practices of newly started, emerging local government associations and 3) to stimulate exchange of ideas and knowledge between LGAs. In her speech she reiterated the words of the Local Government Association of Gambia at the Africities summit “Local Association associations are often forgotten in development programmes whilst the associations need programmes such as the ARIAL Programme to be really strengthened” The final ARIAL seminar has once again brought together LGA’s in the Pacific region to facilitate exchanges among peers who normally would not easily meet. Since 2010, ARIAL has been working towards strengthening emerging Local Government Association (LGAs) at the national, regional and intercontinental level with its objective of promoting the political recognition and engagement of local government as important players and partners of development. There were 4 Local Government Association present at the seminar. They are 1) Local Authority Association of Vanuatu (LAAV) 2) Marshall Islands Mayors Association (MIMA) 3) Cook Islands Local Government Association and the 4) Kiribati Local Government Association (KiLGA). 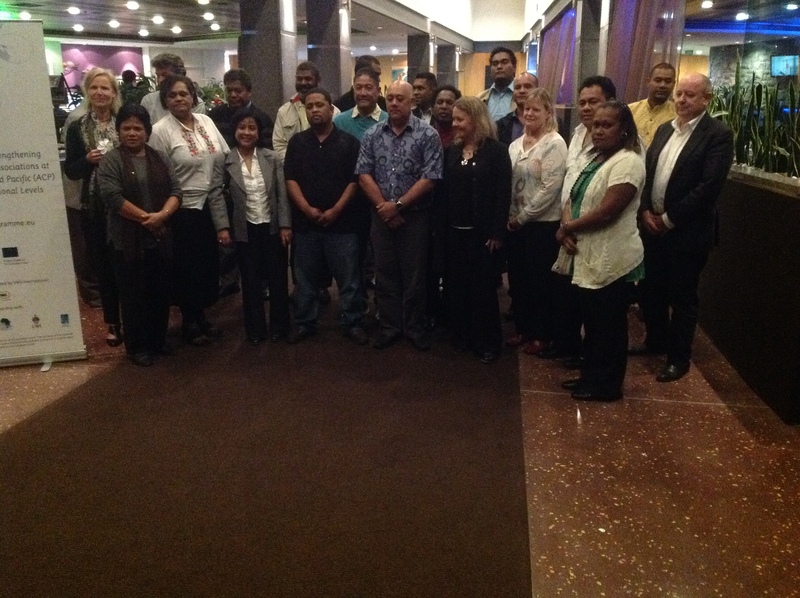 The training was facilitated by a group of Local Government experts from VNG International, Local Government of New Zealand (LGNZ), Hunter Group of Councils of New South Wales and FSPI. The two days seminar provided an excellent opportunity for Pacific Island Local Governments to discuss lessons learnt amongst themselves and most importantly how they could support each other after December 2013, when the ARIAL project life finally comes to the end.